Aspen is the perfect marriage of rough and refined. The hematite-gray, simulated druzy pendant is mounted in a crystal-embellished gold frame. Sparks fly from Aspen double-drop earrings. 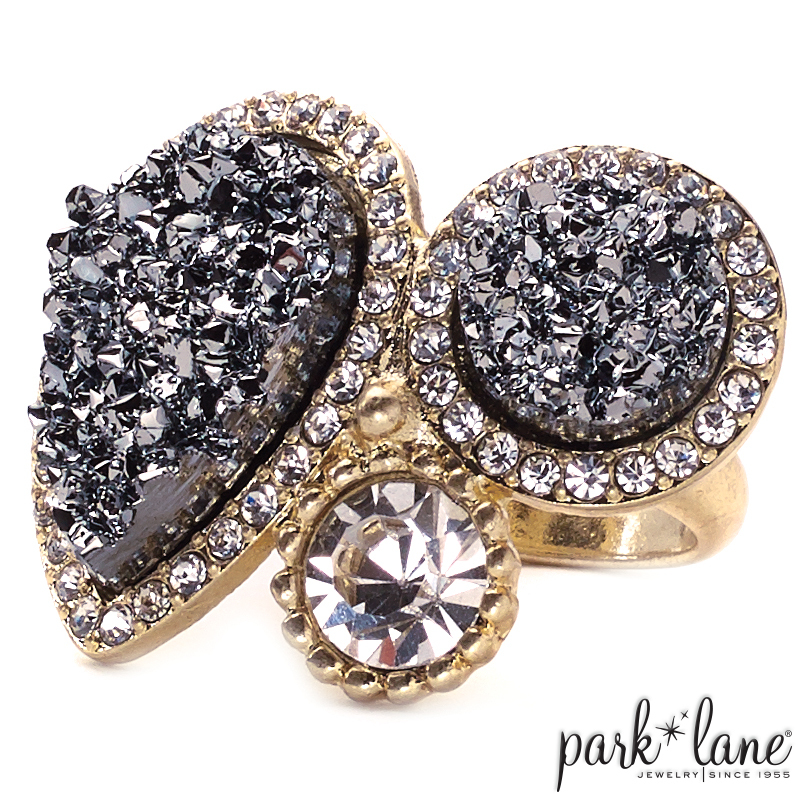 The amazing ring features framed faux druzy gems and a sparkling solo crystal... Aspen rocks! Rings: Santa Cruz. Bracelet: Infinity.